There is no typical victim of slavery – victims can be men, women and children of all ages and cut across the population. But it is normally more prevalent amongst the most vulnerable, minority or socially excluded groups Modern slavery has been getting increasingly more attention both from the mainstream media and the government, which culminated with passing the Modern Slavery Act in 2015. Human Trafficking could be taking place in Calderdale and you could help to tackle it. 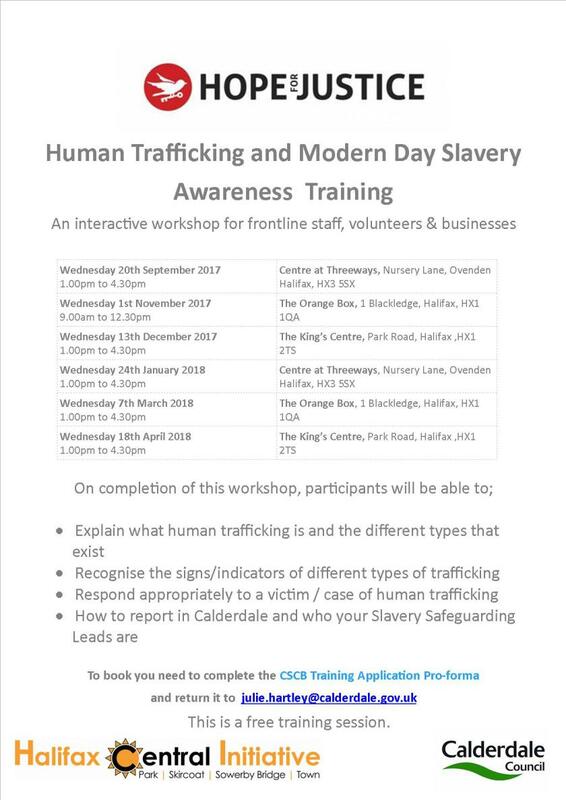 Hope For Justice will be running free training sessions for people working in Calderdale, typically those who work on the frontline and with the public.